The Asheville Symphony announces its 2016-2017 season including a seven-concert Masterworks Series featuring favorite works and composers of Music Director Daniel Meyer; an all-new New Year’s Eve celebration with a performance of Beethoven’s Ninth Symphony; and the return of the highly popular Asheville Amadeus festival in March 2017 with famed violinist Midori as its headliner and artist-in-residence. Highlights of the Masterworks Series include an all-Tchaikovsky celebration, Chopin’s Piano Concerto No. 2, and an all-American program including Gershwin’s Rhapsody in Blue. All Masterworks concerts take place in Thomas Wolfe Auditorium in downtown Asheville under the director of Music Director Daniel Meyer unless otherwise noted. Single tickets, series subscriptions, and ticket packages are on sale now. Single tickets for all concerts are $22-62, depending on seating section (reduced youth pricing is available). 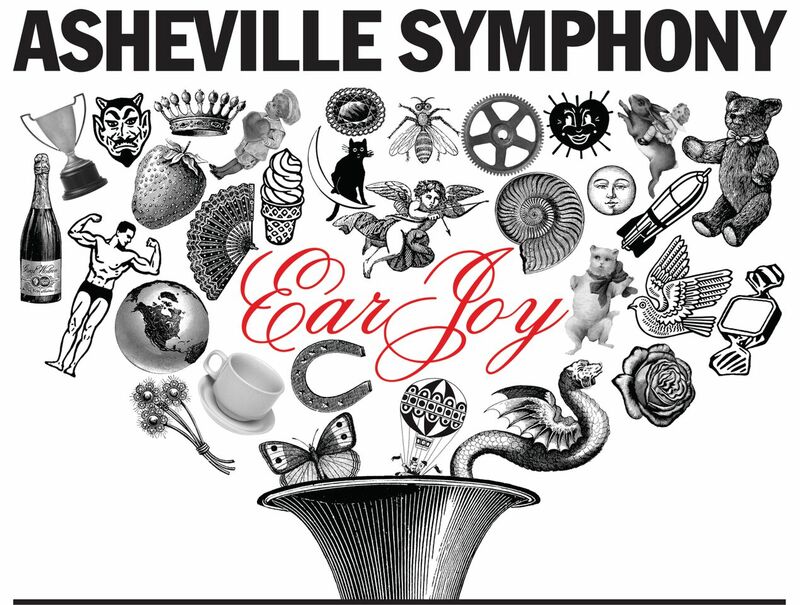 Tickets can be purchased online at ashevillesymphony.org, by phone at 828-254-7046, or in person at the U.S. Cellular Center box office at 87 Haywood Street. Saturday, September 17, 2016, 8:00 p.m. The season opens with an all-Tchaikovsky celebration including the composer’s Suite from Sleeping Beauty, Francesca da Rimini, and Violin Concerto. Guest soloist Jennifer Koh (violin), named 2016 Instrumentalist of the Year by Musical America, join’s the symphony for the concerto. Saturday, October 22, 2016, 8:00 p.m. The symphony’s frightfully delightful October concert opens with two works perfect for the Halloween season: Saint-Saëns’ Danse Macabre or “Dance of Death,” and Schmitt’s La Tragédie de Salomé, which recounts the biblical story of Salome’s insistence on the beheading of John the Baptist. The program closes with ASO’s own concertmaster Jason Posnock and cellist Alistair MacRae taking on Brahms’ Concerto for Violin and Cello. Saturday, November 19, 2016, 8:00 p.m.
Masterworks 3 presents a sample of some of America’s finest composers highlighted by Gershwin’s iconic Rhapsody in Blue, featuring masterful solo pianist Conrad Tao. Selections from Copland include the distinctly American sound of Our Town, and the Old West drama of Billy the Kid. The program also includes Diamond’s decidedly American take on European musical forms in his Symphony No. 4. Saturday, January 14, 2017, 8 p.m. In January, take a musical float down the Rhine River as the ASO explores some of Maestro Meyer’s favorite Germanic composers. The program opens with Brahms’ Haydn Variations, an intense emotional experience, followed by Haydn’s Cello Concerto in C featuring guest cello soloist Cicely Parnas. The program closes with Schumann’s ‘Rhenish’ Symphony, which sweeps you along the famed German waterway in an evocative musical journey. Walt Disney’s Fantasia—and its sequel in 2000—offers an unforgettable marriage of classical music and ingenious illustrations. The February concert program includes selections from both Fantasia films with a focus on composers who paint pictures with their evocative scores. Highlights include Stravinsky’s The Firebird, and the wry Piano Concerto No. 2 from Shostakovich, which features guest pianist Inon Barnatan—the New York Philharmonic’s first Artist-in-Association. Saturday, April 22, 2017, 8 p.m.
All three composers on the April concert program had a firm grasp on the art of choosing the perfect instruments for the right musical moments. Solo piano combines perfectly with the orchestra in Chopin’s Piano Concerto No. 2, featuring guest solo pianist Soyeon Kate Lee. Debussy’s Petite Suite and Franck’s Symphony in D minor take advantage of the full palette of the orchestra to beautiful effect. Saturday, May 13, 2017, 8 p.m.
All of the things that make Gustav Mahler such a singular composer—his ear for color, his ability to shift from one emotional extreme to another—are on display in his First Symphony, ‘Titan.’ This monumental work serves as the finale for the ASO Masterworks season. The evening opens with Mendelssohn’s Violin Concerto featuring guest violinist Yevgeny Kutik. The Asheville Symphony Chorus shares its joy of singing together for 25 years by offering a retrospective of the choral works it has performed since its inception. Music Director Dr. Michael Lancaster has selected his favorite movement from each work on the program. Highlights include selections from Orff’s Carmina Burana, Mozart’s Requiem, and Vivaldi’s Gloria. Saturday, December 31, 2016, 8:00 p.m. The ASO presents what’s sure to be the “hot ticket” on New Year’s Eve—a performance of Beethoven’s Symphony No. 9. Each year orchestras around the world ring in the New Year with performances of this towering musical work, which celebrates hope and brotherhood. Ring in the New Year with this unforgettable musical celebration featuring the Asheville Symphony Chorus, and four guest vocal soloists. Asheville Amadeus returns! The acclaimed 10-day festival inspired by the music and life of Wolfgang Amadeus Mozart is back in 2017. The incomparable Midori joins the festival as headliner and artist-in-residence for a schedule of performances, education programs, social events, and collaborations with community partners. This celebration will have something for everyone—from beer to theatre to music.